I’ve always wanted to shoot 9mm out of an AR. I don’t know why to be honest. I think it was just wanting to do what all the cool kids were doing. Whatever the reason though, I am glad I decided to build one, because damn are they fun to shoot! Having never built a PCC AR (or even fired one for that matter) I did lots of research before embarking on this adventure. 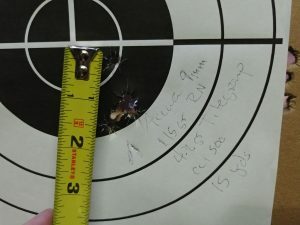 What I learned is that there are a couple differences between a regular AR build and a PCC AR build. I have actually covered these differences in a previous article here so I will not cover them again. Instead I want to focus on the actual build itself and its performance. Trigger Guard – Strike Industries Cobra style trigger guard anodized red. This was purely for looks. 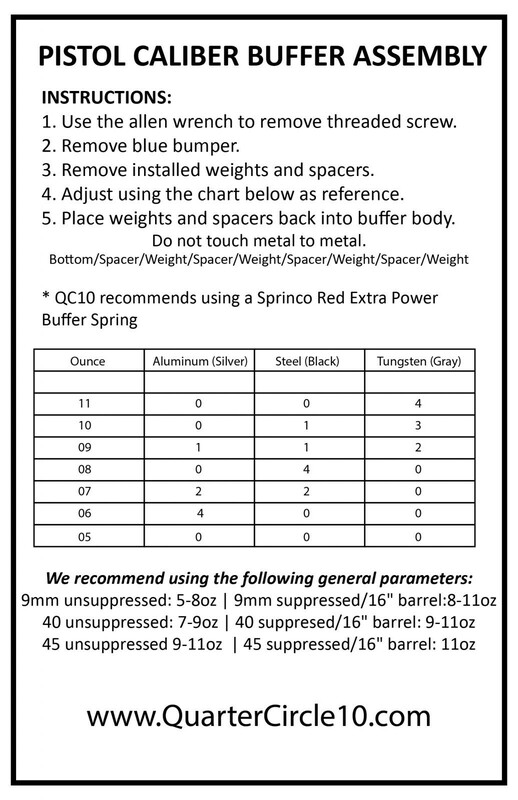 Buffer Weight – OEM 8oz AR9 buffer. It is important that you match the correct buffer length/weight with the barrel length/setup you have. 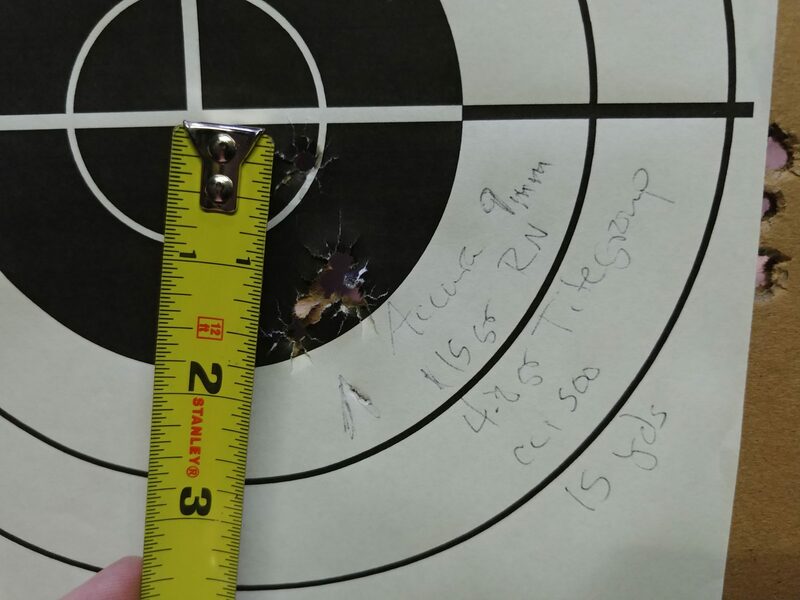 With a 16″ barrel you need an 8oz weight. Flip Up Iron Sights – These are the cheap polymer iron sights you can find on Amazon for around $10. They have elevation adjustment on the front sight and windage on the rear sight. Holographic Sight – just a generic $30 optic. You can find these on Amazon/eBay/etc. Hand-stop/ rails sections – I got these off of eBay simply to add more color to the gun and make it look tacti-cooler. I will probably never use the rails but I wanted a black & red design on the rifle and they just made it look more complete. Mag well adapter – Pro-Mag gen 2 colt style AR9 mag adapter for AR15 lowers. As you can tell from the list above I added some things based purely on aesthetics. Other things were done purely from an experimental perspective (I mean who expects $10 sights or a $14 muzzle break to perform?). I also wasn’t in a huge rush to complete the build which also allowed me to search the interwebs for the best deals and save additional cash that way. All in all I was able to build the entire rifle for under $650. Looks are cool, and being cheap is nice, but how did it perform? In this article I wanted not just to explore the capabilities of rifle as a whole, but also the individual performance of each of the parts. 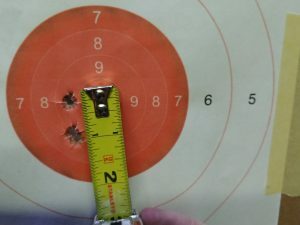 Everything from do the 10 round mags actually hold 10 rounds, to FTF/FTE, to general accuracy was looked at. So lets dig into this build. 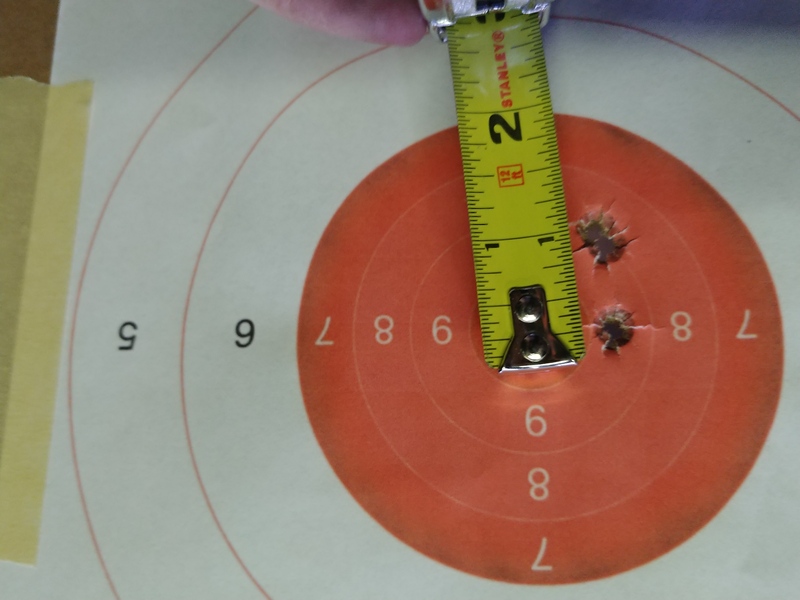 As you can see the only difference between the 2 brands was how easy it was to load the rounds into the mag. Everything else they performed almost identical on. For me in the future I will be buying mags based on price at the time of purchase and nothing else. So this brings us to the next point: the magazine well adapter. So really quick in case you weren’t paying attention to this point or are just really bad at spacial recognition, in order to shoot 9mm out of an AR15 platform you need to alter the magazine well to accept 9mm mags. This is because an AR15 lower is designed to accept a mag for rounds about 2.25″ in length. A 9mm round is about 1.12″ in length. This means we need to take something and reduce the size of the mag well opening to accommodate the smaller mag. The risk here is that if the adapter does not line the mag up perfectly, you will have some feeding and/or ejection issues. After reading numerous reviews online from various online retailers to try and get the best feel for what did and didn’t work, I decided on the Pro-Mag adapter for Colt SMG style mags. I did this because I don’t own anything Glock and therefore don’t have any Glock mags. As a result since I had to buy mags and the adapter it was cheaper overall for me to go the Colt SMG route. In addition I also got the LRBHO (Last Round Bolt Hold Open) functionality that Glock mag adapters don’t typically offer. The Pro-Mag adapter also seemed to get the better reviews than the Glock options on the market at the time. But how did it actually perform? After about 500 rounds through it, not a single failure. Getting the mag to seat can be a little tricky and the mags don’t drop free so mag changes are a little slower but it definitely does work. Mark this one as good to go! There is a lot of confusion around what (if any) special buffer system components you need to use for a PCC build. 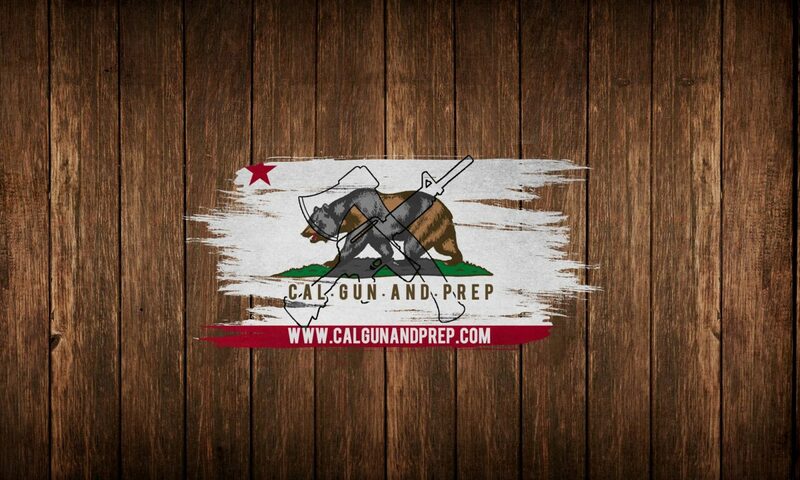 It’s a fair question to ask given that a PCC AR uses a different cycling system (direct recoil) compared to a standard AR15 (direct impingement) and the buffer system has a direct impact on how well the gun cycles. Being that the system is direct recoil, the bolt moves back and forth with more force. As a result the normal 3 oz. carbine buffer weight and standard AR 15 carbine length spring is not enough to slow the bolt down and keep it from cycling correctly. But what parts do you need to change out and which can you reuse from a normal AR15 stock kit? The answer to this is only the buffer weight. I know there are other “special” buffer system parts for PCC carbines. A lot of keyboard ninjas will also tell you to use a 308 spring in your 9mm AR. I can tell you from my experience that neither are required as long as you use the correct buffer weight. 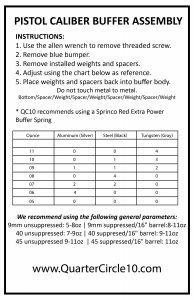 As referenced above in the parts list, what caliber/barrel length/suppressed or not will make a difference of how much weight you actually need. Regardless if you need a 5 oz. or a 10 oz. weight, you do absolutely need a longer one (insert dirty joke here). The reason for this is with the increased force (force = mass * speed and we increase mass to keep the same speed) and with that increased force we now have the potential to break parts like the bolt catch in the lower. So to prevent that from happening we reduce the speed and shorten the amount of travel the buffer has. To do this we use either a longer buffer or a spacer with a standard length buffer. A cheap option for a spacer is 7 quarters taped together and put into the buffer tube before the spring is inserted. I live in California and as such I have to follow extra laws. One of those is if I want to have a standard mag release, I can’t have a flash hider. I know it’s dumb but it’s currently the law so I have to follow it to stay out of jail. So to stay compliant I decided to replace the flash hider that came on my upper with a muzzle break. I searched around the internet to see what my options were and I found one for about $13 on eBay. I figured for that price if it didn’t work it wasn’t a huge loss. Obviously with that kind of attitude my expectations weren’t very high. After running a few hundred rounds through it, I have to say I am very happy with it! Not only has it reduced muzzle climb to almost nothing, but the break has held up extremely well without any signs of wear. If you are looking for a low cost, high quality muzzle break for you AR9 build then I highly recommend this one. Now for the ultimate criteria for success, did the rife run and is it accurate? Having a weapon that is accurate but you never know if the trigger pull will go bang is no good. Likewise having a weapon that goes bang every time but can’t hit the broadside of a barn is equally as ineffective. So for the final test we take a look at both. Overall I would say the build came together pretty nice. 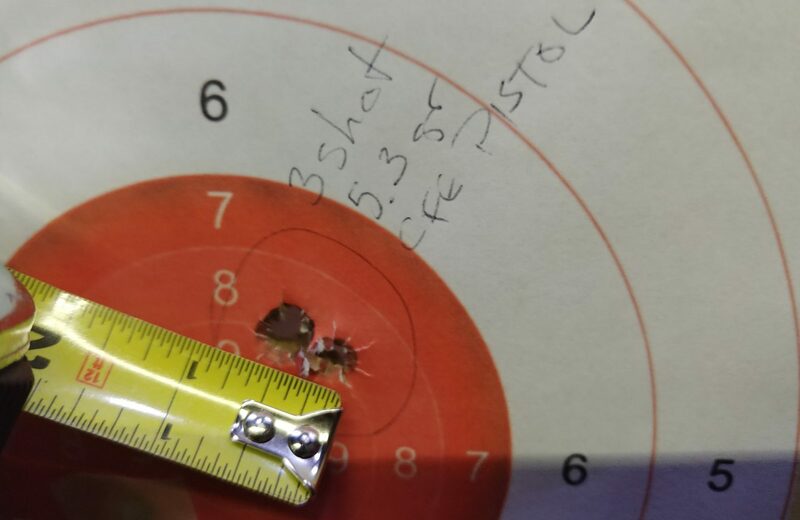 I am happy with the results, the rifle is reliable, its fairly accurate, and it’s really fun to shoot!